The wide representation of national pavilions at the exhibition creates a solid platform for further dialogue between the economies of Russia and other countries. National pavilions is the result of well-coordinated work with state support from the participating countries, embassies and trade missions in Russia. 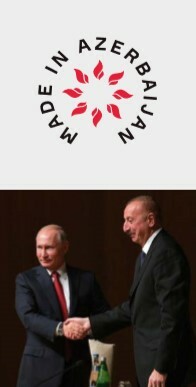 “Azerbaijan pursues a purposeful policy to promote our national brand, President Ilham Aliyev signed a decree in connection with the mechanism for its promotion. The measures taken in this direction are bearing fruit. More than 30 Azerbaijan exporters and manufacturers are represented at our stand. Visitors show great interest in our stand. We will be happy to support this exhibition, because from a practical point of view it gives us very good results”.